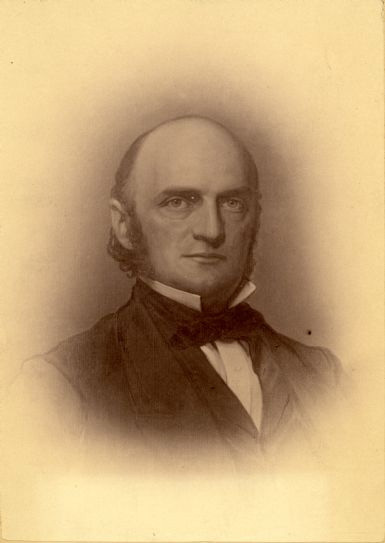 Alexander Randall was governor of Wisconsin when the Civil War broke out and was instrumental in raising and organizing troops for the Union cause. Camp Randall in Madison is named for him. Like his father, Randall was trained in law in New York. He was admitted to the bar at age 19 and soon afterwards moved to Wisconsin. In 1840 he opened a law practice in Prairieville (now Waukesha), where he was also appointed postmaster. Randall was chosen a delegate to the first Constitutional Convention in 1846. He was also elected to the state Assembly in 1848, and served as circuit judge in Milwaukee, 1855-1857. He was nominated the Republican candidate for governor in 1857, won that year's election, was re-elected in 1859, and held that office when the Civil War broke out in April 1861. Gov. Randall immediately called for Wisconsin volunteers. Although President Lincoln requested only one regiment, enough recruits came forward to fill several. By the end of July 1861, six regiments of Wisconsin soldiers had left the state for the front. Unfortunately, Randall made powerful enemies in Washington and at home in Wisconsin by his disregard for the cost to taxpayers for preparing troops and the slow pace of government bureaucracy. He was only moderately successful at navigating the politics of organizing troops, establishing training camps, obtaining supplies, arming recruits, and paying for it all. As his second term drew to a close in 1861, he decided not to run again for governor. When Randall's term ended in January 1862, President Lincoln appointed him U.S. minister to Italy. He served two years before coming home and accepting Lincoln's appointment as assistant postmaster general in 1863. In July 1866, President Andrew Johnson named him Postmaster General of the U.S., a position he held until 1869. 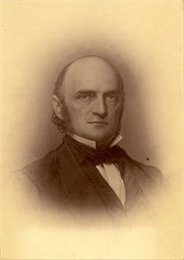 Randall was the first Wisconsin resident appointed to the Cabinet of a U.S. president. When President Johnson was impeached in 1866, Randall's political career ended. He resumed his law practice in Elmira, New York, where he died in 1872.